Between long lines and frustrated fellow travelers, air travel is often a less-than-desirable experience these days. But passengers flying through Atlanta can always count on at least one bright spot: One Flew South. 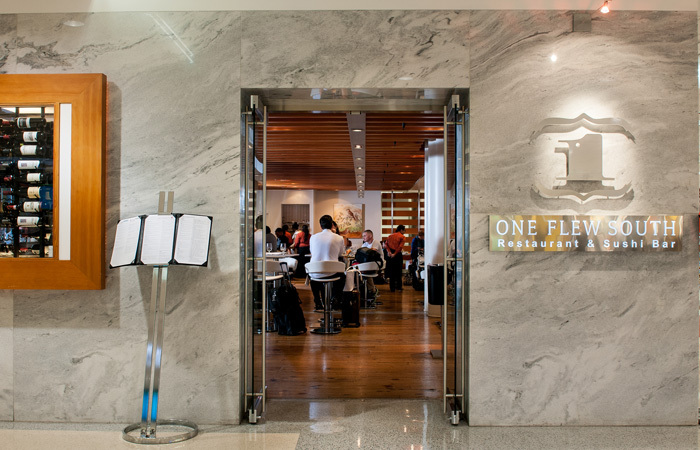 Since 2008, the restaurant and bar has been bringing an inspired mix of Southern standards (pimento cheese, Benton’s bacon BLTs), sushi, and craft cocktails to Hartsfield-Jackson International’s Terminal E.
In settings noted for generic food and drink served to a captive audience, One Flew South is, by wide acclaim, the best airport bar in America. Its menu is well stocked with classics—“Most people stick to ordering what they know,” says lead bartender Devon Eagle—but each comes with an upgrade. The Bellini includes fresh ginger syrup; the Singapore Sling incorporates juice from the bar’s house-made cocktail cherries; the Brandy Alexander adds Drambuie, the Scotch-and-honey liqueur. The same goes for One Flew South’s Bufala Negra. 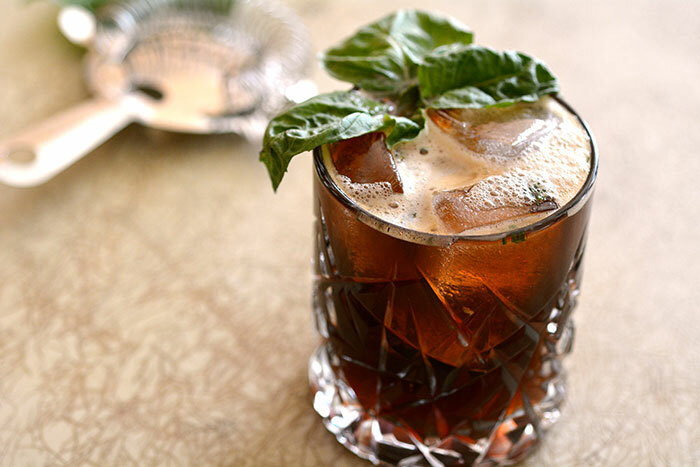 It’s an Italian twist on the Mint Julep, using basil instead of mint and a rich but simple-to-make balsamic syrup. Thankfully, with this recipe, you don’t need to run the TSA gauntlet—or even have a boarding pass—to enjoy a One Flew South cocktail. PreparationIn a shaker, muddle the sugar cube, basil, and Balsamic Syrup. Add the bourbon, fill with ice and shake. Strain into a rocks glass filled with ice and top with ginger beer. Garnish with a basil leaves. *To make the Balsamic Syrup, combine equal parts balsamic vinegar, water, and brown sugar in a small saucepan and cook over low heat, stirring, until the sugar dissolves completely, about 1 minute. Let cool completely before using.